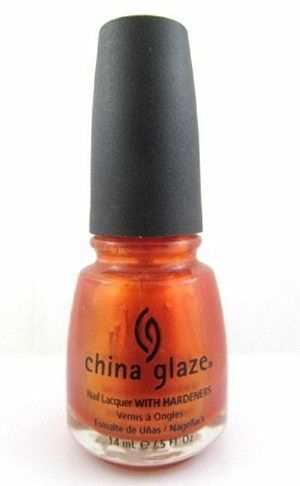 China Glaze Nail Polish, Edgy Copper, 72062, .50 fl. oz. Sheer, bright orange-toned copper shimmer nail color. China Glaze Urban Chic Series. With black cap.